Does the Bible have anything to say about depression? In thirty-five years of serving as a pastor, counselor, and chaplain, Ronald “Dee” Vaughan has learned that this is not an academic question. Those who ask about the Bible’s relevance to this illness do so because they are struggling with emotional and spiritual darkness and need spiritual strength to survive. As a student of the Bible and a survivor of depression, the author answers those struggling seekers. During his own time of illness, Vaughan kept a journal of Scripture passages, quotations, advice, and personal discoveries—truths that gave him glimpses of spiritual light that guided him through the darkness toward healing and health. In this book, he shares those life-giving discoveries. This collection of biblical meditations is designed to be used as a daily devotional resource. Along with each meditation is a prayer based on that chapter’s life lesson and a truth to affirm, a short summary to help readers remember what they’ve learned. Through these devotionals, Dee enables us to face those times of depression that keep us from achieving our best. He does not offer simple solutions, but rather, with profound insight into scripture and the pain of his own depression, his pastoral words become the avenue through which God speaks to us, touches us at the point of our darkness and offers the light of God’s promise and Presence. Dr. Ronald “Dee” Vaughan is a practicing minister for whom I have immense respect. I have known him for twenty-five years as a fellow pastor, colleague, pastoral counselor, and friend. Seeing in the Dark has been helpful to me as I have dealt (and continue to deal) with losses, grief, and seasons of depression. I commend Dee’s approach of offering his insights from Scripture and pastoral counseling in the form of a guidebook from a fellow pilgrim rather than a textbook on depression. I am grateful to Dee for his help and invite you to learn from him as well. Throughout Dee’s book, he shares insights gained from both his personal journey and also his ministry to those who struggle with issues of depression. This book is a needed personal tool that guides us in integrating our life experiences and our religious faith when experiencing times of depression that isolates us and floods us with negative thoughts about our lives. Dee’s insights are valuable for those who needs support, as well as those who are supporting others during difficult times. In selecting his title, Ronald Vaughan reminds me of so many clients sitting in my counseling office over the years who struggled to find God in their depression experience. They described how their receptors for experiencing life were diminished; discovering this was also true for their connection with God . . . their receptors were diminished. I’m so grateful for this honest, practical, and hope-filled contribution to the field, helping readers to see and experience God even when we don’t have the energy or native capacity to do so. I’m so glad this volume is available to address real- life needs which have been ignored for way too long. We don’t know anyone who hasn’t gone through a “down time” at some point in their lives. It is depressing, but fortunately this depression is short lived as we work through a problem and/or find solutions. For others of us, the depression lasts longer and a debilitating despondency steals our joy and paralyzes us. The dark cloud that hangs over us can send us into a black hole from which there seems to be no return. Dee Vaughan relates to us on all levels because he has been there . . . and back. If he were to say to you, “I feel your pain,” you can believe it. He has earned the right to express that kind of empathy. A book about depression might seem like a depressing idea unless you know Dee’s style. Dee’s gifts for storytelling and turn of a phrase make this collection of meditations an easy, painless journey back into the light. Through anecdotes, illustrations, examples, scripture, and prayer, the reader receives wise counsel of insight and hope that will, indeed, shine a light into a dark world. Dee Vaughan is a master of knowing what to say, especially to those who are hurting. 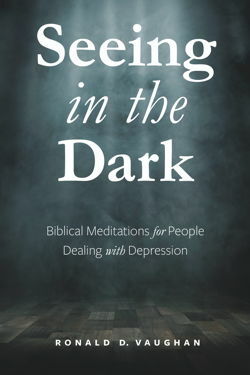 What a blessing Seeing in the Dark: Biblical Meditations for People Dealing with Depression is as a contribution to your personal preparation for allowing the dark clouds to part so that the “Son” can come shining through! Dee’s comforting words soothe the soul in a way that is tender enough to gently heal a wounded spirit, yet powerful enough to lead you to a greater understanding of yourself. As one who has traveled through the dark valley of depression, I am grateful for the affirmation and encouragement I found on each page of Seeing in the Dark. 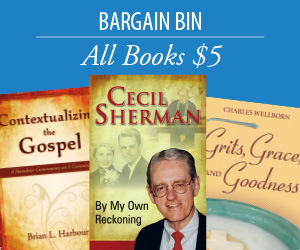 Dee's personal reflections and biblical insights are a tremendous resource in my own life, as well as for those to whom I am privileged to minister. I encourage anyone who is struggling with depression, and anyone who has a friend or family member who is struggling with depression, to purchase this book. It will help you walk through the darkness of depression into the light of God's love and grace.